Ralph J. 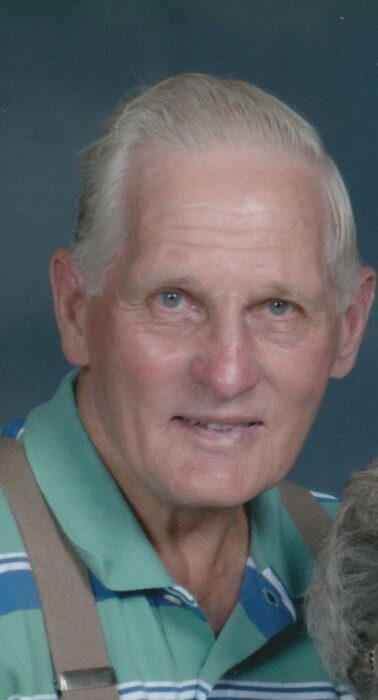 "Junior" Straits, age 88, of Millersburg, Ohio passed away unexpectedly, with his family by his side Monday, August 27, 2018 following a period of declining health. Funeral services will be 11 a.m. Friday at Saint Peter Catholic Church, Millersburg, Ohio with Father Ronald J. Aubry officiating. Burial will take place at SS Peter and Paul Catholic Church Cemetery, Glenmont, Ohio. Friends may call from 6 to 8 p.m. Thursday at Alexander Funeral Home, Millersburg, Ohio with a brief prayer service starting at 7:45 p.m. Those wishing to share a memory or make online condolences may do so by visiting www.alexanderfhinc.com. Ralph was born March 2, 1930 in Millersburg, Ohio and was the son of Ralph A. and Caroline (Kaylor) Straits. On May 22, 1954 he married Kathleen Pearce, she survives. Ralph was a graduate of Clark High School. He was a lifelong Dairy Farmer and a strong advocate and supporter of organic farming. Ralph had a passion to teach people the importance of organic farming. He was a member St Peter Catholic Church and also was a member of the Ohio Ecological Food and Farming Association, known as OEFFA. Ralph was a past president of the Parents Association of Handicapped Citizens and was one of the original board members of the Holmes County Training Center, when it became a school. He enjoyed gardening and bird watching. Surviving in addition to his wife are eight children, Steven (Merry Lynn) Sigrist- Straits of Walnut Creek, Ohio, Suzanne (Michael) Guertin of Powell, Ohio, Julie (Skip) Lytle of Millersburg, Ohio, Jane (Keith) Rodgers of Perrysburg, Ohio, Jenny Straits of the home, Ed (Dayle) Straits of Millersburg, Ohio, Frederick Straits of the home and Sara (Donovan) Madenwald of Dublin, Ohio; 13 grandchildren, Patrick and Anne Straits, Katy and Stephanie Guertin, Adrienne (Scott) Frazee, Alyssa (Zack) Gillum, Jonathan and Lauren Rogers, Preston Baker, Nicole Cox, Keith Tish, and Ben and Sam Madenwald; six great-grandchildren, Caroline and Blair Frazee, McKayla, Jayden and Deliverance Tish, and Nathan Cox; Two brothers, George (Trudy) Straits and Charlie (Janet) Straits both of Millersburg, Ohio; Two sisters, Mary Cline of North Carolina and Ruth Ann (Roger) Tomassitti of Wooster, Ohio and numerous nieces and nephews. He was preceded in death by his parents and a sister, Catherine Lahm.